Zaraki Kenpachi, probably one of my favourite Bleach characters is known for his deadly attacks and ability to sustain a large amount of attack. He never stops, and just keeps on coming. His character and personality is something to be behold, he loves a good fight. This is potentially why I really like his attitude towards fight first and discuss later. A magnificently done artwork from the hands of marvelmania who has a number of amazing artwork based on One Piece, Dragon Ball and many others. 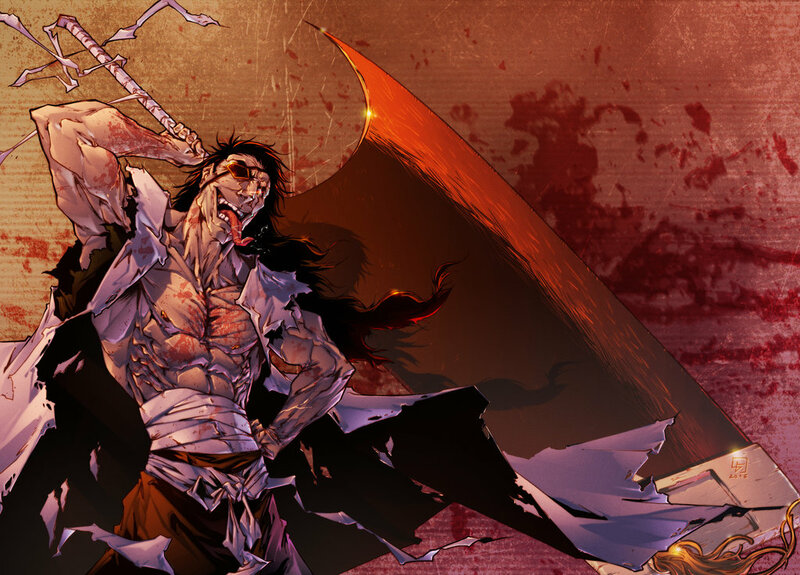 If you like this work, be sure to go ahead and comment below otherwise share this artwork to other fans of Kenpachi on your favourite social network. He’s very good too, his bankai is so awesome! Sense Zaraki doesn’t even like training, I also agree that we won’t ever see his Bankai because he won’t achieve it.